How are cryptos typically traded? Crypto currencies are digital tokens that people can use to purchase goods and service. The biggest and most common crypto currency is Bitcoin. In addition to being able to purchase goods and services with cryptos people can trade them speculatively. There are hundreds of digital tokens in existence today and they are traded on crypto exchanges. Crypto exchanges are basically electronic platforms where people can buy and sell cryptos. For example someone can open an account with an exchange, deposit dollars and purchase Bitcoin. 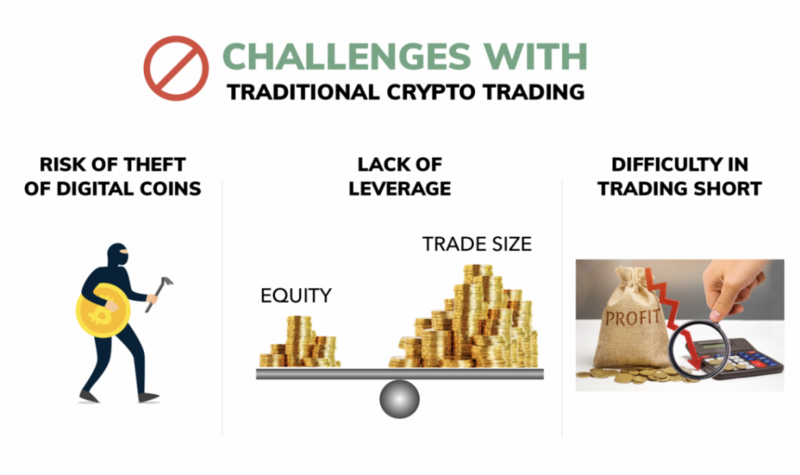 Challenges with traditional crypto currency trading? There are many traders who make money by trading cryptos. Traditional exchanges allow traders to do this, but there are some limitations. This article will explain how using perpetual crypto futures helps overcome each of these challenges and puts more power into the hands of the trader. In order to increase trading volume financial brokers let their clients, essentially, borrow money against their deposit in order to have more buying power. This is called leverage. So leverage is basically your buying power. And perpetual crypto futures give traders leverage. Let’s look at a basic example of how this works. Let’s assume that Bitcoin is trading at $4000 and you have 10X leverage. If you want to buy 1 Bitcoin with a traditional crypto exchange you will need to put up $4,000 to enter your trade. But with a perpetual crypto future you will only need to put up 10% or $400. In both instances you will essentially make or lose money dollar for dollar as if you were holding the actual coin. 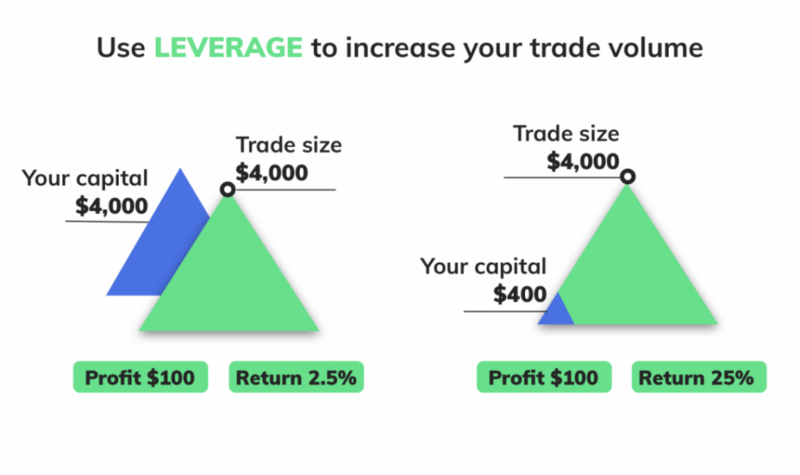 The leverage that perpetual crypto futures provide make the money that you deposit into your account more powerful because you can essentially buy or sell more bitcoin with this money. When dealing with digital assets like cryptos the threat of hacking is imminent. Many crypto exchanges have been hacked and the hard earned money of their clients disappeared. By trading perpetual crypto futures you can mitigate this risk in a very creative way. As you know perpetual crypto futures give your money more power by giving you leverage. And since your money has more power you will need to keep less of it in your account in order to trade your desired amounts. Let’s look at example to drive this point home. Let’s assume that bitcoin is trading at $4000 and you think that the price will go up. You decide to buy 10 Bitcoins. 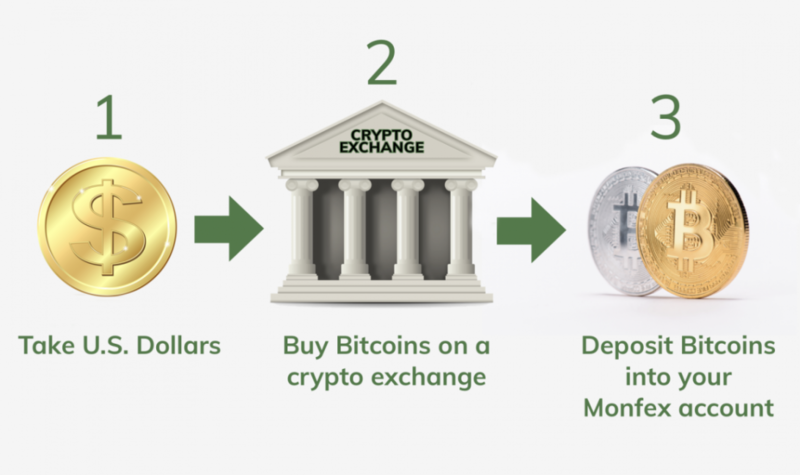 With a traditional crypto exchange you would need to have $4,000 X 10 or $40,000 in your account to make this trade. With bitcoin 10X leveraged crypto futures all you would only need $4000 X 10 X 10% or $4000. If you are correct in your prediction and bitcoin goes up by $500 you will make $5000 on both trades. Because of this lower financial requirement you have less money in your trading account, and less money is at risk of crypto theft. 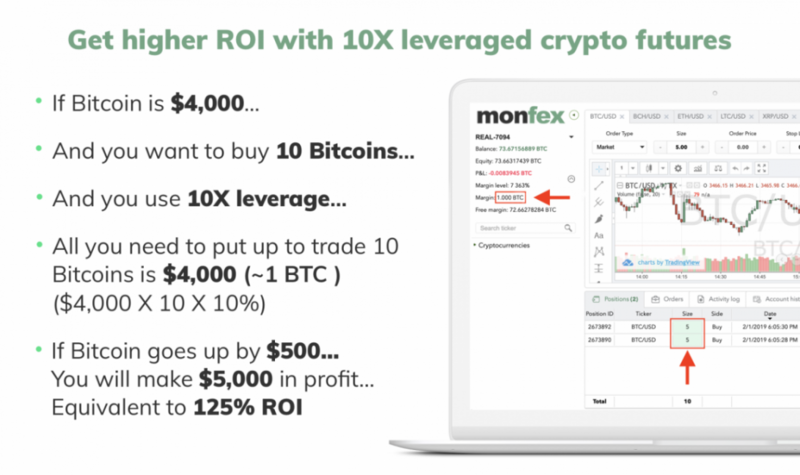 Essentially with something like 10X leveraged crypto futures you can keep 1/10th as much money in your account and achieve the same trading results as you would with traditional coin trading. Now let’s assume that you have an account with a traditional crypto exchange. You deposit Bitcoin do your market analysis and decide that the price of Ethereum will go down. How do you make that bet? Most traditional crypto exchanges only give you the ability to buy. 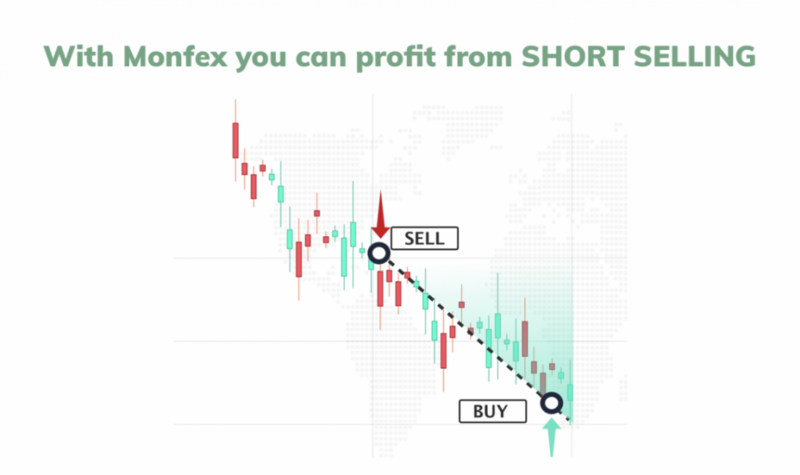 You cannot short sell a coin the way you would with a stock or a forex contract. With perpetual crypto futures you can take a short position. You basically click on sell in yoru trading platform select the amount of the coin that you want to trade and you will profit dollar for dollar as the price of the coin you selected drops. 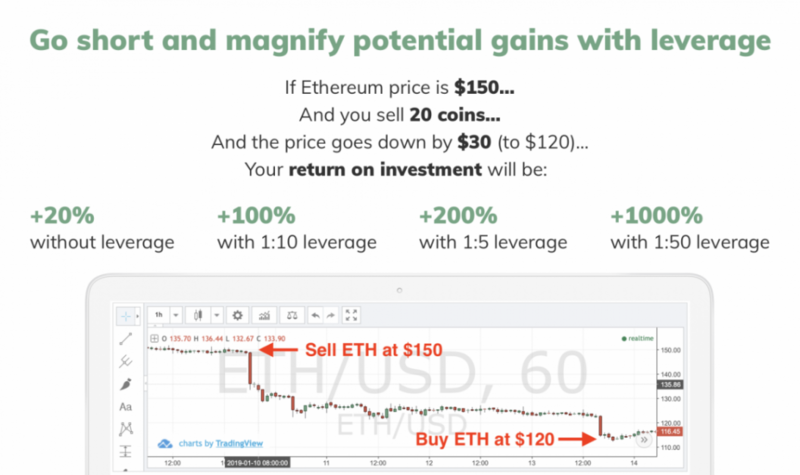 Let’s assume that you have an account with $1000, 10X leverage and that Ethereum is trading at $150. You think that the price of Ethereum will go down. Let’s assume that you want to short sell 20 coins. You would need to put up 10% X $150 X 20 which is $300 in margin. Let’s say that you are correct and Ethereum drops by $30 to $120. You simply close your trade on your online platform. This will give you a profit of 20 coins X $30 which is $600 or 200% ROI on your trade. As you can see unlike traditional cryptos leveraged crypto futures make it simple to short sell. To sum it up, perpetual crypto futures are leveraged instruments that give traders more buying power. They also make it easy for crypto traders to take short positions on the coins of their coins of their choice. And because the leverage that traders get with perpetual crypto futures they can mitigate their risks of digital hacking by depositing less money into their trading account.